I’ve certainly become more particular over my choice of armpit freshener over the years. The range of products on offer is immense and some varieties have such delightful and enduring scents that they’re good enough to wear in place of a fragrance – handy for the gym or travel when bag space is a premium. One thing I’ve never thought about, though, is buying natural or organic. Green beauty is something I’ve embraced wholeheartedly since starting the blog, but it hasn’t stretched to underarm beauty - before now. Lavera has just launched a range of natural deodorant sprays and I have been testing out two of them – Deodorant Organic Lime & Organic Verbena, plus Basis Sensitiv Deodorant with Organic Witch Hazel & Organic Rose Essence. Just the sound of the headline ingredients makes me want to sniff the air – or should I say my armpits (then again, perhaps I’ll stick to just the air!). These formulas are made without aluminium salts, chemical preservatives or perfume. They are mild and suitable for sensitive skins, yet still effective at keeping BO at bay for 24 hours. Why is aluminium an issue? Aluminium is the most abundant metal in the earth's crust. Aluminium salts are used in many anti-perspirants because they inhibit sweat. While that may be desirable from the point of preventing bad odours emitting from our skin, they can clog pores. Concerns over the safety of aluminium to our health have also been raised, though many studies dismiss them. 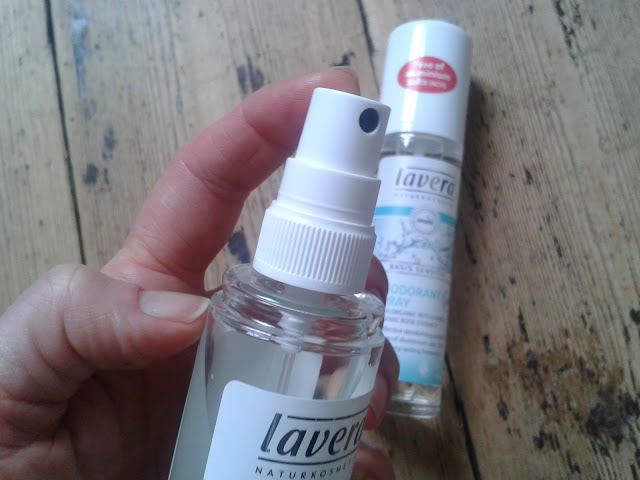 The Lavera Offering – What do I Think? Both scents are enchanting. The Organic Witch Hazel & Organic Rose Essence is light and flowery, while the Organic Lime & Organic Verbena is wake-me-up citrus fresh. Rose is always going to win me over, so if I had to choose between them that would be my take home choice. That’s also the formula for more sensitive skin. The 24 hour ‘stay-fresh’ is not something I can test as I don’t go that long without having had a shower, wash or a bath. 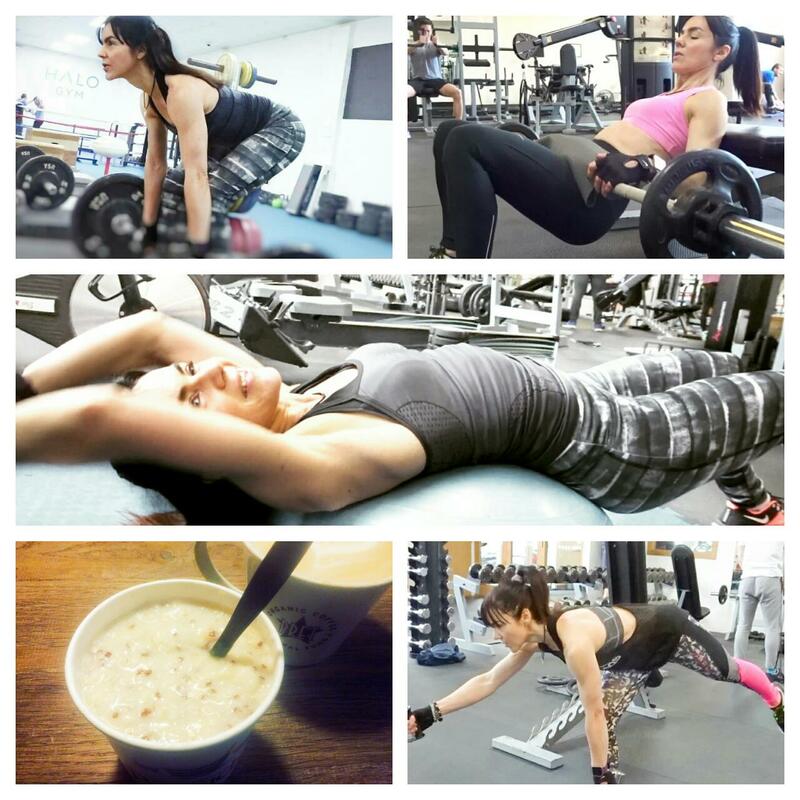 But I do usually go all day without a rinse and I’ve also tested these out at the gym – I can confirm there was no bad odour coming from my armpits whilst pummelling the cross trainer or anything else.
. These deodorant sprays come in glass bottles. While that’s good for the environment (glass is easily recyclable) it may be less so if storing in a bathroom – should they fall from a shelf or slip your grip they could smash on a hard floor surface or sink (if that worries you Lavera do roll-on deodorants in plastic bottles).
. The scents are delicate and light. No one likes an overpowering bouquet but it does mean that they don’t really double-up as a perfume, should that be something you're looking for.
. The ingredients put the price at the high-end. 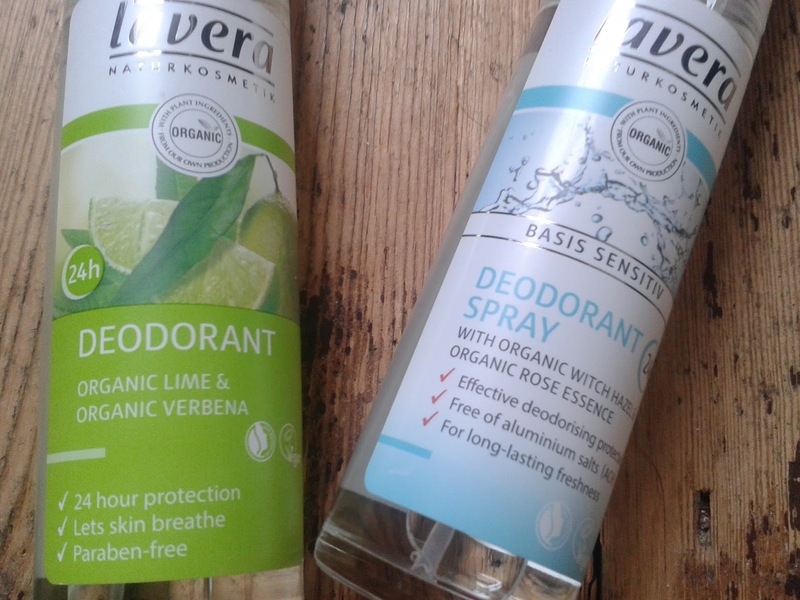 The Lavera deodorant range is available now at Holland & Barrett here, priced at £9.29 for Basis Sensitiv and £9.95 for the lime and verbena fragrance. More on Lavera here. This is so helpful! I've been trying to break into the more sustainable, body friendly beauty but I never know what I'm looking for. Great guide - I love it! These sounds pretty good! I'd never previously considered organic deodorants before! Great post! Here I am again, dear Tracey:) Dizzy and with a sudden need of sleeping for 2 hours, tight, this morning, just when I thought I felt better - and I slept pretty much a lot yesterday... I will ask for vitamin supplements when I go to the doctor on next week. Till there I will have to feel a bit weak :) But anyway, I am here now and I thank you for your support over the last weeks! I like organic deodorants and Holland & Barrett! They have a line with honey that I love, but this Lavera one would win me, because of the rose scent, like you said you are also sold! I will look for it when I go to H & B again! Hope you have a great week! I love the sound of these, using natural deodorants is such a good idea. I love that they are in a glass bottle as well. I just wish they were a little bit cheaper so I could afford to buy them regularly!